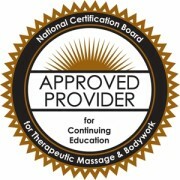 Illinois requires massage therapists to complete 24 CE hours every 2 years for license renewal. A minimum of 2 hours must be in Ethics. Up to 12 of the 24 hours may be self-study. You may take up to 12 hours of continuing education online here at Adawehi Institute. We offer a 3 hour online Ethics course as well as many other courses for Illinois.